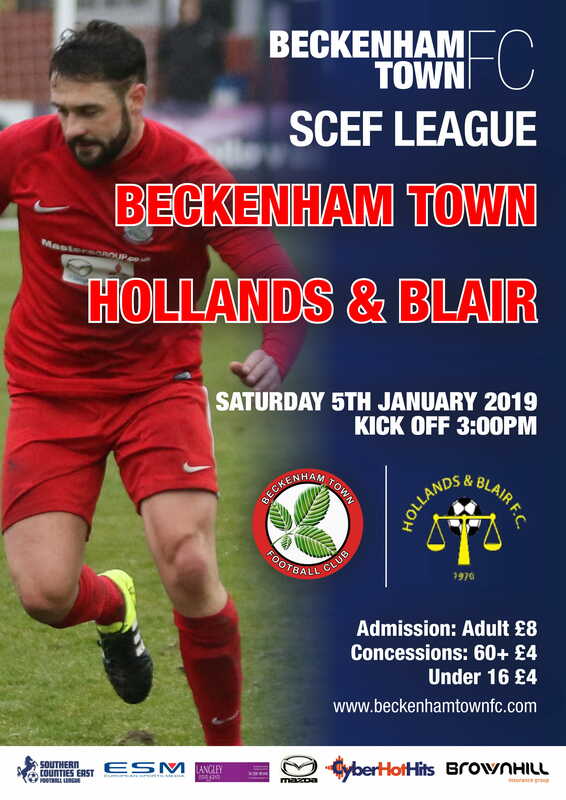 Our 3-2 win at Hollands and Blair on Saturday continued the 100% winning record in the league. Erith Town visited the EPA on Wednesday looking to stop the run. A free-kick from the left side put into the box was headed in by Billy Bennett to give Becks the lead in the 16th minute. The referee was given a big penalty call as Louis Valencia went down from Nathan Paul’s challenge just inside the left side of the box however the appeal was immediately waved away and the attacker was issued with a yellow card. Both sides had a handful of chances the game was finely poised going into the second half. The second half got a bit scrappy from a tackling point of view with Erith, especially Jason Goodchild putting in some reckless slide tackles going unpunished. Ike Robinson was issued with a very harsh booking as he went to clear the ball and inadvertently kicked the Erith attacker who poked the ball away first. 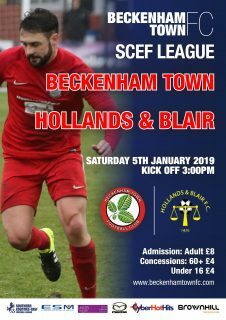 Becks doubled our lead only a couple of minutes later after Ike Robinson getting onto a loose ball at the byline and earns a backheel assist on the right side and Richard Atkins puts it in at the near post in the 54th minute. Ike Robinson quickly turns from hero to zero with a silly tackle to make while on a booking and he rightfully was issued with his second and a red for taking out Jason Goodchild. Goodchild himself then oversteps the mark as he stops the Beckenham attack with his studs up through the back but the referee bottled the call and only gave a yellow card, which he should’ve received long before. Even down to 10 men Becks extended the lead to three thanks to some fantastic hold-up play from Richard Atkins who then received the ball in open space having run straight through the defence and tucks the ball away from the right side of the goal to finish off a brilliant move and bag himself a brace. Erith got a late consolation goal in stoppage time thanks to Louis Clarke but it wasn’t going to trouble the result. The win maintains Becks’ 100% league start as it stretches to 9 wins out of 9 and puts us 9 points clear at the top of the table.